The Taling Ngam area is a beautiful part of the island, it remains largely untouched by tourism development. The beach is soft sand, the waters usually shallow, calm and clear. Great for both kids and adult swimming. There are some high end resorts in the area, but they are well spread out and remain secluded. There are also a few mid-range and budget accommodation options. You'll find the beach here is predominantly lined with jungle rather than resorts. There are one or two bars, restaurants along the beach.Our favourite place to enjoy a meal here is The Five Islands Restaurant. 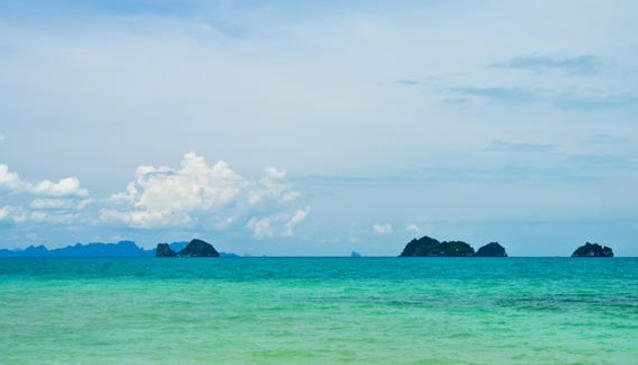 If you are looking for nice relaxed day away from the tourist hubs, we highly recommend packing your towels and sunscreen and head down to Taling Ngam beach for the day. Take the 4170 exit from the Ring Road and when you arrive at the Elephant Gate (two large Elephant statues) take this exit road towards the beach. This road will take you directly to the beach, and main village area. You can also take a right turn just after the temple on your right and find your own little spot along the road as it winds towardsLipa Noi. We recommend taking this turn and heading further along the beach and pull up at the Five Islands Restaurant area of the beach. Alternatively head on further and follow the winding road, after the Inter-Continental Hotel there is nice spot to pull up near a little beach shack restaurant where you can wonder along and find your own part of the beach.